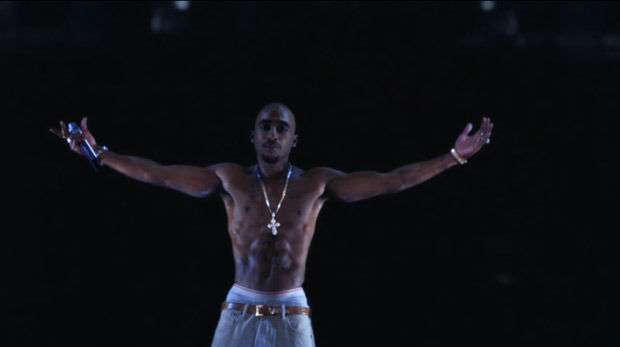 Tupac: "I just flew in from heaven, and boy are my arms tired!" If you have been hiding in a rap news-free cave all week, Tupac Shakur made a guest appearance during Dr. Dre and Snoop Dogg's set at Coachella last night – by hologram. Yes, it's true: it is now the year 2012 and we all have computers in our pockets, girls are running around with pink and green hair, and deceased rappers perform by hologram. Here's a video of some of the performance. The future is strange and frightening.